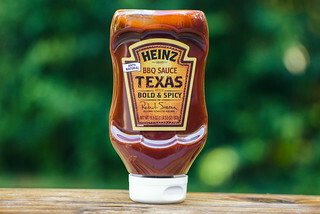 A well balanced standard barbecue profile, with a notable freshness and meaty quality, makes Buxton Hall's Red BBQ Sauce a great choice for most applications. Buxton Hall was born after a fateful meeting in 2013 between Elliott Moss and Meherwan Irani. Prior to that time, Moss, who grew up around a tradition of family barbecue in South Carolina, moved to Asheville in 2007 and helped open The Admiral Restaurant. which garnered him a James Beard nomination for Best Chef Southeast. On a similar trajectory and timeline, Irani quit his day job in 2009 to open up Chai Pani in Asheville, a spot focusing on Indian street food which resulted in two James Beard nominations for him as Best Chef Southeast. After the two met, they set out on a joint venture that would become Buxton Hall Barbecue—opening in 2015 in Asheville's South Slope and focusing on keeping alive traditions of Carolina barbecue. 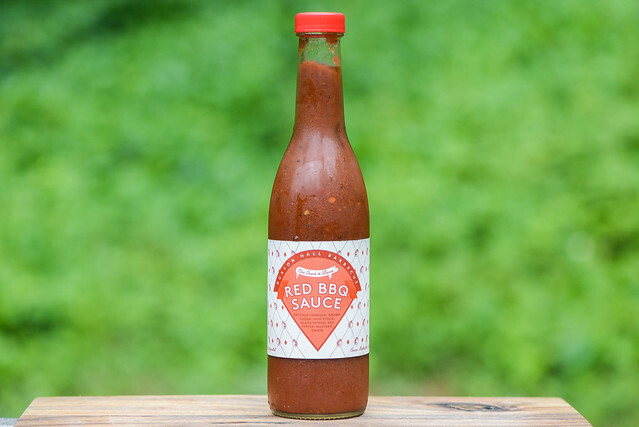 A very familiar barbecue sauce aroma defines this sauce with a character that's like a tangy and sweet ketchup that also has prominent earthy and smoky components built in. It's notable that all of those upfront traits smell bright and fresh. With some deeper whiffs, additional complexity comes out mainly from pungent mustard and sweet onion. 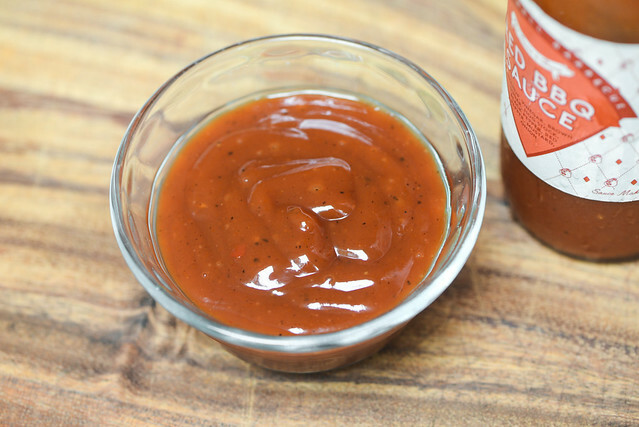 This rusty orange-red sauce is smooth with a glossy sheen. It's mostly opaque, but it's still easy to see a ton of spices in black, white, and red that come in varying sizes. Its thickness hits right in the middle of the scale, and the sauce falls first in one large drip, followed by a fairly steady stream. In just a couple seconds, the pour switches to slow drips, releasing a couple bits of sauce before ceasing and leaving a medium coating of sauce left clinging to the silverware. 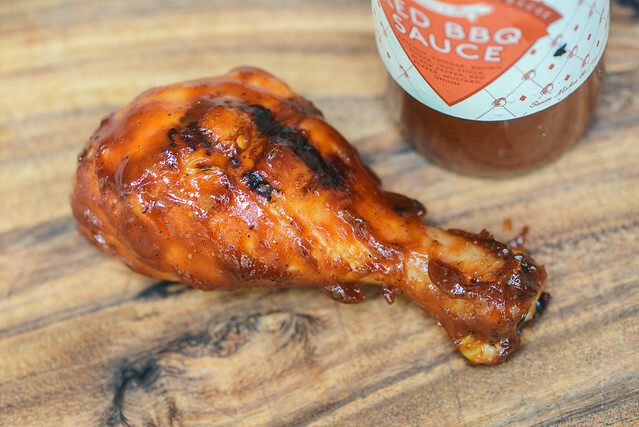 The flavor starts out with a sweet, ketchup-like taste that has a savory, meaty quality to it. Very quickly a mellow vinegar tang works its way in at the same time undertones of onion and mustard make themselves known. As the sauce settles on the tongue, the tanginess really ramps up and a earthy heat mixes in to start off a spiciness that becomes pretty mouth tingling by the time the sauce exits the mouth. This leaves a final flavor that's most hot and tangy. The sauce coated the chicken in a medium, slightly uneven layer. It baked down well over indirect, and when move to direct heat, caramelized well without burning and only suffered minimal burn off. The flavor was really excellent with a great balance of sweet, spicy, and tangy. The sauce had a very fresh quality to it and a robust taste that left the chicken well seasoned, but with the natural flavor of the meat not masked. 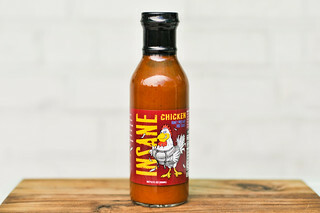 The sugars did come into play more heavily after being cooked, counteracting the heat to create a spiciness that could still impart a small tingle on the lips, but not as much as was experienced straight out of the jar. I've heard a lot of good things about Buxton Hall, so I was really excited to finally get there and try it myself last month. Of course, I couldn't leave without picking up a couple bottles of sauce, which were notably kept refrigerated rather than out on the shelf. I'm not sure if this made a difference in the quality, but there was definitely a freshness to this sauce that isn't common. That was really the defining characteristic—otherwise the flavor profile treaded a well worn path, albeit done in an extremely well balanced manner. There was also a savory, meaty quality that made it stand out, which I assume was coming from the "hog stock" ingredient—something I have never seen in a sauce before. 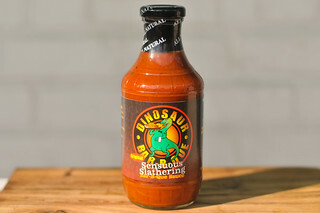 Tasting great both on and off the grill, I think this sauce would be a wise choice for just about any purpose.